In 1892, twenty years before he would be elected President of the United States, Dr. Thomas Woodrow Wilson traveled by train from Princeton, where he was then a department chair, to a small conference in Madison, Wisconsin. On his mind, in part, were the ongoing discussions that would soon lead to collapsing history, economics and political science or “politics,” as he preferred to call it, into one department. He was also aware of troubling signs in the economy such as the unsustainable level of mortgaged farms and the low values of railroads shares compared to the bonded indebtedness they racked up, which drove the economy since the end of the Civil War. But it would be several months before the 1893 financial panic would set in and his mind was primarily focused on the future of secondary education in America. During his lifetime, compulsory education had gradually been adopted state by state, beginning with Massachusetts prior to the Civil War about the time he was born. His parents moved deep into the South in embrace of the Confederacy, cutting him off from his anti-slavery roots in Ohio and Pennsylvania. He started his higher education at Davidson College in North Carolina and proposed to his wife in Asheville. So he was disturbed that the Southern states were laggards in embracing secondary education for all of their residents. It would be another 26 years before Mississippi would become the last of the states then in existence to do so. Tennessee in 1905 and North Carolina in 1907 were the first to do so, twenty years after my native Idaho. But as Wilson made his way to Madison, there was still no standardized curriculum for secondary education, especially in high schools where they existed. A Committee of Ten, actually nine different committees of ten experts each were organized around nine different subject areas they were to assess. On his mind may have been that it been 108 years since another future President and one of the nation’s most prominent founders had laid out the importance of students learning history. Thomas Jefferson had penned, in the only book he ever published, that “History, by apprising them (students) of the past, will enable them to judge the future,” not only making the case for history’s importance to liberty but also strategic thinking. Realizing that many students failed to see the value of memorizing dates and events, Wilson’s subcommittee recommended that history be not only taught as a subject several times a week for eight years but laced throughout other subjects such as English, Literature and Geography. Their rationale was that the true value of learning history is learning “historical thinking,” such as the ability to decipher motives and see patterns important to “associational thinking,” or repurposing what is now understood to be the key to innovation. Many people fail to move beyond dates and events to learn historical thinking because politicians have interfered and mandated a top-down approach out of concern that we won’t spend enough time learning national values. But studies show this should be inverted. More than two-thirds of Americans, including majorities of every ethnicity, view the importance of the past first through family background, a ratio of three to one over those that view U.S. history as most important. Before there is any jump to conclusions, the percentage among non-Hispanic whites is nearly 70%. Among African Americans and Native Americans, the area of next highest importance is their ethnic or racial group. Then comes the history of the community in which we live. In a twist of irony, the top down approach appears to disengage people, even the politicians who mandate it. It would be interesting to know if the reason so many in my former field seem to lack any motivation or sensibility when it comes to guarding sense of place, let alone leveraging it as an appeal in favor of more superficial approaches, is due to a breakdown in historical thinking. There are many studies, as well as examples through the years that have long ago confirmed that the inability to think historically is why so few are able to think strategically or make strategy. 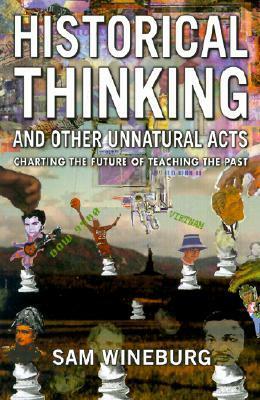 A kindred spirit who is jumpstarting the Museum of Durham History first as an innovative pop-up pointed me recently to a book entitled, Historical Thinking and Other Unnatural Acts. It was written by Dr. Sam Wineburg, a cognitive researcher at the University of Washington who then founded Stanford’s History Education Group. This, Wineburg explains, is because they think they more or less know what they are looking for when they skim through the past making it unlikely it will inform their outlook or cause them to do any rethink their strategy approach to a given community. Instead, to continue to paraphrase Dr. Wineburg, the past becomes clay in their hands. Instead of stretching their understanding and awareness, they merely contort it to fit the predetermined meanings they have already assigned to it. But these observations among former peers in community destination marketing and many other officials and understanding how historical thinking works and how to reach it are very different things. Fortunately, over the course of my now-concluded career, cognitive researchers have made huge strides in understanding the linkages between critical, strategic and historical thinking. Using these findings, a collaboration with Ancestry.com has helped the University of North Carolina at Chapel Hill near where I live create new tools and approaches to teaching historical thinking and they aim first at what the vast majority of all Americans consider most important about the past, their own. Durham schools are not yet involved but twenty-four years ago this spring, a low-tech approach to this was first piloted in Durham. It started when Ann Baker, the executive director of the newly formed Durham Service Corps, a national pilot. contracted with the City to clean up Geer Cemetery. Out of the project came a collaboration with literacy and education which published A Model For Curriculum Development in History And Social Studies entitled, Reclaiming Yesterday. But instead, the farsighted 1991 program was soon put on a shelf to gather dust, followed shortly thereafter by the demise of the promising Service Corps., doomed by decision-makers who didn’t know what to do with such a nugget. Tragic, but this is what invariably happens in a void of historical critical thinking, perpetually “reinventing the wheel” or worse, stagnation. Fittingly to the former, Durham volunteers will turn out again on May 21st to clean up Geer Cemetery. Many will be asking those same questions Corps. members asked in 1991. Hopefully, it will energize historical thinking.